You got a perfect score. You are unusually perceptive. You have an eye for detail, a robust vocabulary, and a thirst for knowledge. Carry on, genius! 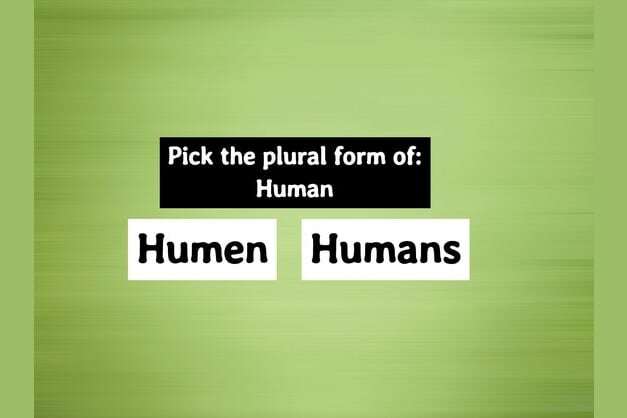 This tricky plural forms test was given to 100 college students and only 12 got more than 15/20 correctly. Please SHARE it to test your friends. You passed. You are remarkably sensitive. You tend to be aware of what is happening below the surface. You have the ability to “read the vibe” and pick up on the subtle. You can easily succeed in a team setting, and are deeply moved by artistic expression. Keep it up! Failed!! English is not your native language, right? You totally failed it... but cheer up! This tricky plural forms test was given to 100 college students and only 12 got more than 15/20 correctly. Give it another try, and please SHARE it to test your friends. We gave this test to 80 high school students and nobody got more than 10/20 correctly. Can you beat these odds?